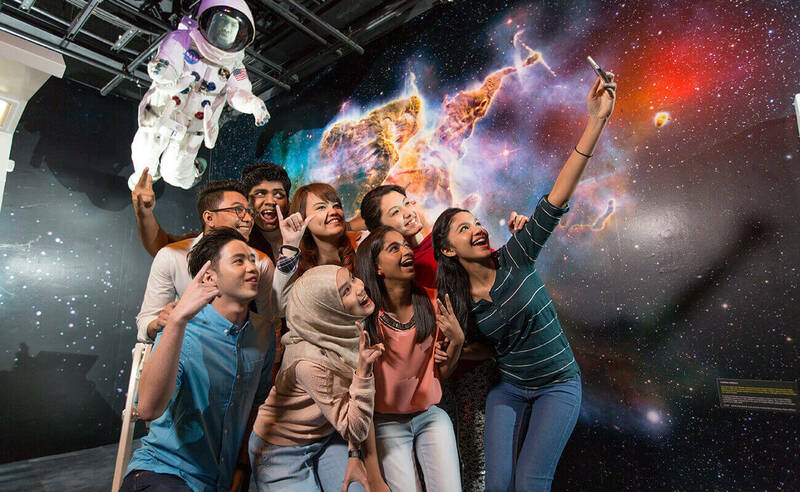 Your journey in Petrosains begins with a ride on our iconic Dark Ride. 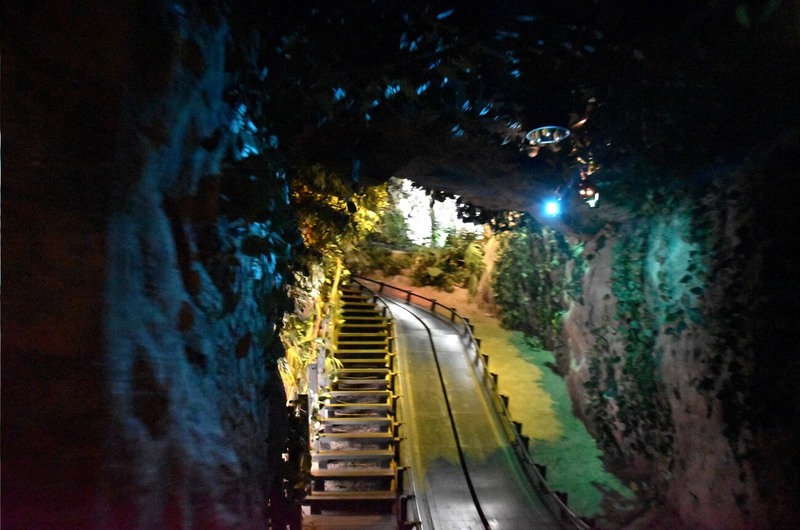 Shaped like an oil drop, the ride brings you through a dark and tranquil environment featuring Malaysia’s rainforests, mountains and underwater sceneries. The audio visual presentation ends with a depiction of a modern and competitive present-day Malaysia. Dark days do not last. Space is where you can find out about the latest in space science and technology. Discover how astronauts live and work in space through delightful high-definition videos by the crew of the International Space Station, or ISS. Try programming a Mars rover to roam over a Martian landscape in search of signs of life. Or go to Jupiter and step into a hurricane! Centred around an elaborate volcanic landscape, Geotime Diorama takes you more than 200 million years back to the time of dinosaurs and other creatures of the ancient world. Explore the history of our planet Earth as recorded in rocks. Have a sniff of our prehistoric air (it’s safer than fart) and find out how petroleum formed in our backyard a long, long time ago. Fittingly, this gallery has been with us since time immemorial. It is ancient. The Molecule Nano World begins at the top of the spiral stairway. 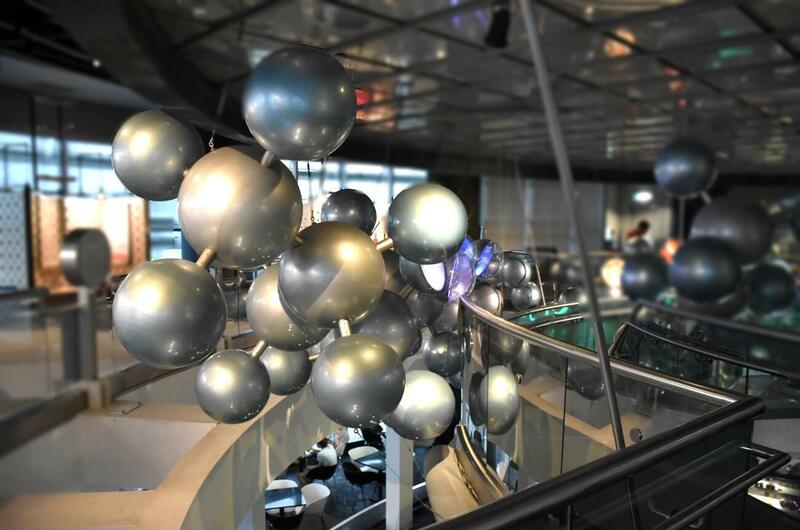 This gallery takes you through the nano world and promises to show how fun Chemistry can be! The Wind Tube with paper helicopters is a lot of fun, as are the Grain Pit and big screens featuring Interactive Art. Toddlers can be confined to the TotSpot area where they can do the least damage. Family members can challenge each other to a Robo Soccer match. Also, be sure to catch one of our fun-filled science shows happening throughout the day. An Oil Platform right in the middle of KL city! The Petrosains A platform is modelled after an actual offshore platform. Everything here has been built to scale. Many of the tools are real. If you are daring, have a go at our Escape Chute and pretend you are exiting a platform on fire. Our Oil Platform also features two large simulator rides that can take a whole group of you on a thrilling virtual journey. SPEED is built for the ardent Formula 1 fan. 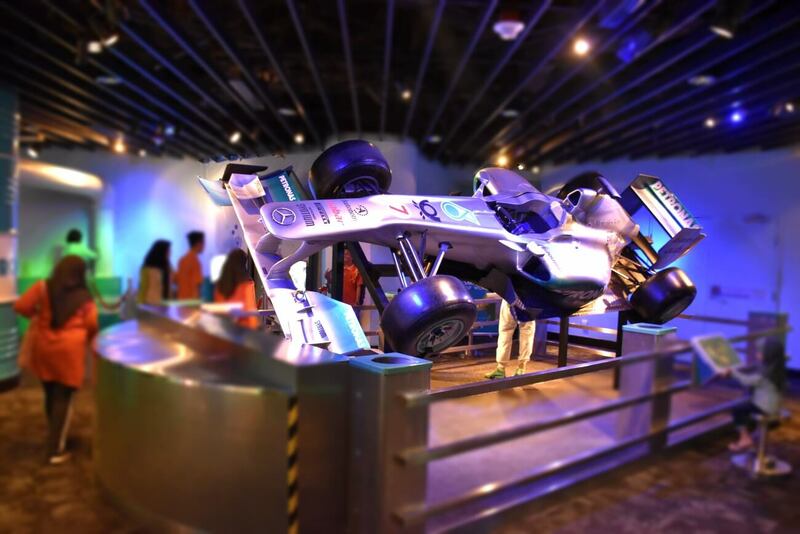 Be Lewis Hamilton and manoeuvre around Sepang in an F1 simulator. Test your reaction time on our Batak Pro exhibit. And be sure to try our crazy popular Mind Ball exhibit where you push a small rubber ball towards an opponent using nothing but telekinesis! There’s plenty to do here. Throw, crank and karate-chop your way through this gallery and release your pent-up energy. DiGi CyberSAFE is a digital citizenship exhibition to engage and educate school children and families on responsible and safe Internet usage. 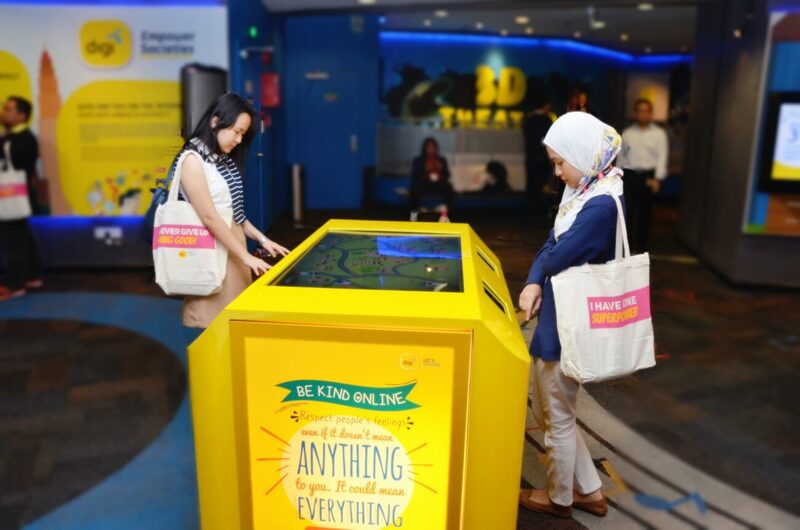 A partnership between DiGi and Petrosains, the exhibition incorporates User Interface (UI) design key frame technologies including Augmented Reality (AR), projection mapping, simulation, multi-touch media and other fun activities to create awareness among visitors on digital safety and citizenship for a family-friendly and safe Internet experience. 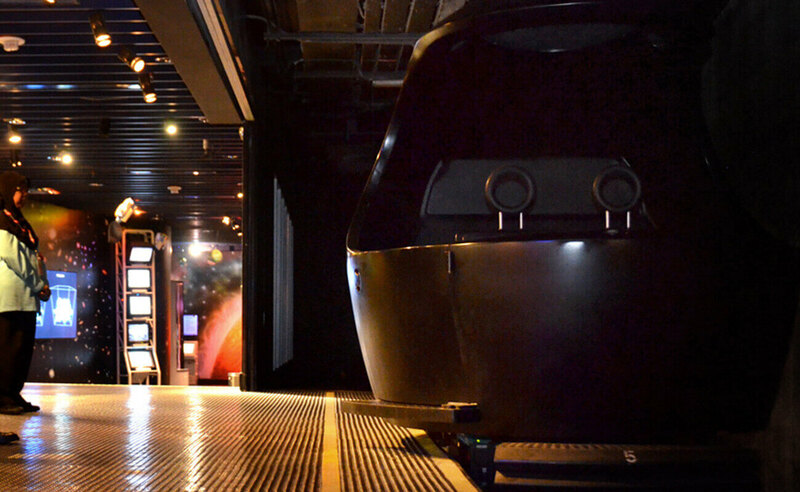 Our 3D Theatre is a theatrette capable of accommodating 32 people for 3D movie screenings and other presentations. Go on an adventure with The Little Prince or meet a bunch of dinosaurs on a prehistoric island in The Lost World. If our Exit Ride brings a sense of déjà vu complete with the French spelling, it’s because you are back in the same ride car that you came in earlier. This time though, it will take you out of Petrosains through another audio visual presentation that captures our hopes for the future of Malaysia.